Everyone is doing it a bit differently and there’s a lot of pivoting, failings and false starts. Digital is reshaping the way we do business. Our inboxes are full of emails, reports and whitepapers on how the latest technologies are set to change the way we do business. But what does this actually mean for energy and resource companies? And how will disruptive technologies including digitization, advanced analytics, intelligent process automation and artificial intelligence come together to shape our industry and the communities we live in? What’s more, how do we make sure these technologies enable rather than disable? We found ourselves asking these questions more and more, and knew we didn’t have all the answers. Realizing this, Advisian Digital went out to the market to get a broad sense of what was happening in the digital space – to see if there was substance behind the hype that we were hearing. Interviewing more than 500 people across multiple industries and geographies, we sought varied and diverse perspectives. From the world’s largest companies to small start-ups; from the CEO to the front line worker, interesting insights were uncovered. The primary finding from the survey was that the intent and the velocity of digitization are universally agreed. We all recognize that the way we do business and develop projects is going to change. Though, the pathways to success, and the benefits that will accrue from digitization, are not as clear. Everyone is doing it a bit differently and there’s a lot of pivoting, failings and false starts. This is leading to a crisis of confidence in leadership as they’re being asked to sign off on investment cases with sometimes unclear or difficult-to-quantify benefits. In the past, government and the energy and resource industry have worked together to conduct ground-breaking research and support the economies and communities that they serve. As we move more into the digital realm, industry and government are starting to look at each other to lead the regulatory environment around technology. There are examples where industry is asking about the regulations they have to adhere to, whereas governments are saying “you build and introduce the technology and we’ll figure out how to regulate it”. Investors are seeing and pricing in that risk gap. A slightly contentious, but predominant, view is that universities are losing relevance when it comes to developing future talent for the digital age. Industry is still yet to respond to this skill gap, and so there’s a disconnect forming. There’s also little doubt that the development and accessibility of the ‘workforce of the future’ will change the competitive landscape. 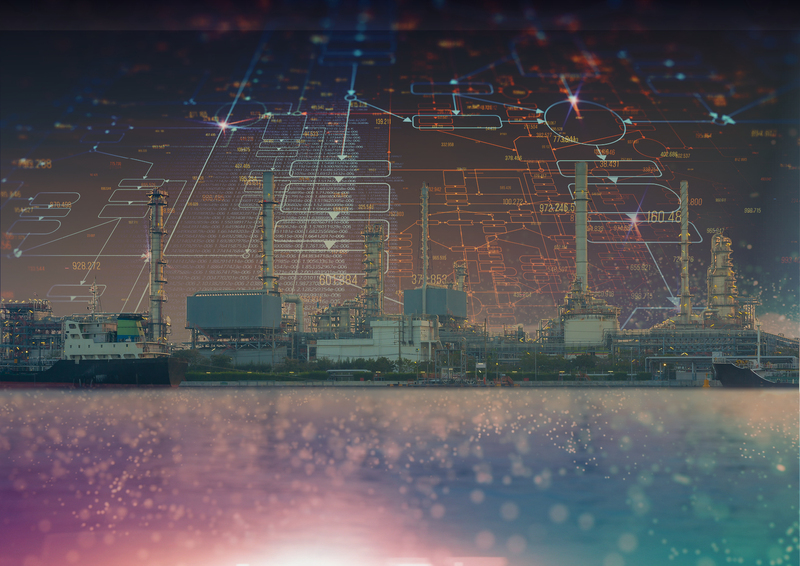 As we look to automate more and more of our operations, there’s an immediate and growing concern emerging around cyber protection of the physical asset. Different from cybersecurity where we refer to the protection of data, cyber protection refers to the protection of the physical asset whereby methods are put in place to prevent hackers from taking over a plant’s operational technology. Operators are starting to prioritize their cybersecurity strategy to ensure they’re adequately protected ahead of implementing their automation strategy. With access to capital, large customer bases, geographical reach and strong geopolitical networks, multi-nationals have the ability to create a competitive advantage in the digital future. However, whatever advantage does exist could be under threat as they can be slow to react, protectionist, too risk adverse or not willing to change. What we do know however, is that technology is only a minor part of a company’s digital future. Much more important is the company’s ability to build culture, alter behavior and integrate it with harmonized systems and processes. The challenge of course, is how to move from macro-level activities to activities that impact day-to-day operations. So, what will the next five years bring? Blockchain? Physical automation? Mental augmentation? Probably. Though, this is far more complex than simply focusing on the latest technology to generate returns. We also need to look at how to build change into our organizations; change in behavior, operating mindset, operating systems and business processes at both the facility and enterprise level. It’s up to us to decide how technology shapes us. Find out more about digital transformation and how we’re helping our clients create dynamic and resilient digital ecosystems at Advisian.com.